Disperse dye ink | Ink | MIMAKI SINGAPORE PTE. LTD.
Disperse dye ink suitable for printing industrial textiles such as car seat covers, interior designs (curtains, carpets, etc.) due to its high resistance to crocking and colorfastness to light. It is also suitable for apparel products due to its resistance against perspiration and washing. 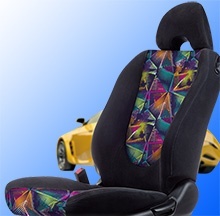 Disperse dye ink is recommended for applications which require high durability that were difficult to obtain with conventional sublimation inks. 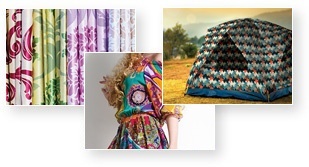 Printing various color expression on polyester and other man made fibers! Disperse dye ink can print on man made fibers such as polyester and acetate. Steaming is used after the printing to fix the color on the fabric*. Along the standard C,M,Y,K colors, DD400 has additional red, pink, violet and gray colors. Designer's imagination fit our only wide range of color expressions which cannot be found in the disperse dye inks of other companies. * Washing is required as a post treatment process in order to remove unfixed dyes and other unneeded particles. 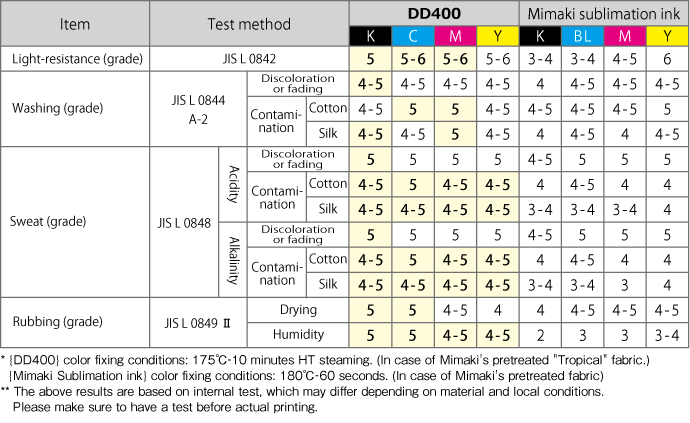 DD400 disperse dye ink demonstrates a fastness of 4-5 class or higher in JIS's washing fastness test. Compared to conventional sublimation ink, it has excellent abrasion resistance, discoloration and contamination capacity. Disperse dye ink adds new values to products that require high durability and long lasting beautiful colors, even after long usage or washing.